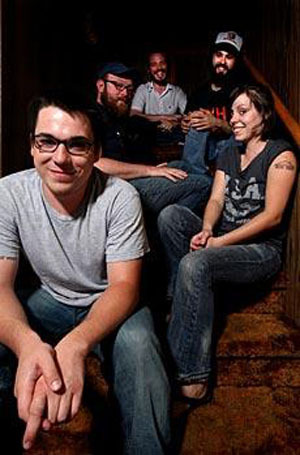 Hi, we're The Wading Girl, and we're an American band based in the Roanoke Valley in Southwestern Virginia. We play rock n' roll music that finds it's influence in many places, from punk to Americana, and we try to use these things that we love to make our own sound. We sing about our friends, our families, religion, politics, whiskey, books, traveling, geography, and love (both lost and found). Sometimes we sing about all of the above at the same time. We ride around in our bright red van and play shows. We've undergone a lot of changes in our three years of existence; we've played in a lot of different places, met a lot of people and made a lot of friends (and maybe some enemies?). We've self-released two full length albums. We're currently working on another one. We try our damnedest to be honest and real in what we do. We don't like writing bios. Chances are we'll be on tour soon. Maybe we'll see you.